Here’s something that seems unthinkable today: Just 12 years ago, Nintendo were afraid they might have to put the Legend of Zelda series on ice. No, we’re not making this up—but in order to fully understand what happened we need to take a trip back to 1998, just prior to the release of Ocarina of Time. Our story begins with an interview conducted by Japanese videogame magazine The 64 DREAM (now Nintendo DREAM). In June 1998, the magazine was speaking with Shigeru Miyamoto, creator of the Zelda franchise and Nintendo’s design guru. It was five months prior to Ocarina of Time’s release, nearing the end of the game’s long development cycle, which had lasted nearly three whole years. This was something Miyamoto was not pleased about. “Develop a game in six months?” the 64 DREAM interviewer asked in (we imagine) an incredulous tone. If you’ve followed Shigeru Miyamoto long enough, you know the man thinks like a tried and true product designer. In Miyamoto’s mind, the perfect product is one that yields the most results with the least investment, and still manages to surprise the consumer. It isn’t surprising that he felt Ocarina of Time could (and should) have wrapped development much sooner, at the expense of some of the game’s many elements. In the short term, this line of thinking led to the development of The Legend of Zelda: Majora’s Mask—the oddball Zelda game that was famously developed in one year under Miyamoto’s orders, with the team crunching hard to see the project through to the end. In the long run, though, Miyamoto’s decree that Zelda games always be developed within certain budget constraints led to some complications that the series could probably have done without. In May 1999, prior to the release of Majora's Mask, Nintendo had announced the codename for their next console: "Project Dolphin". The console was being developed in collaboration with ArtX, headed up by a Dr. Wei Yen, who was primarily responsible for the Nintendo 64 graphics chip. For the Dolphin's CPU, Nintendo had partnered with IBM. ArtX was subsequently acquired by ATI (now AMD), who would remain the graphics provider for Nintendo consoles until the move to Nvidia with the Nintendo Switch. By this point , Eiji Aonuma, who had directed Majora's Mask, had been put in charge of leading development of the next major Zelda game. Aonuma was appointed the director of the next project, and had begun to develop some level of of confidence in his own abilities as a director. There was just one problem: This “next project” had no identity as yet. Nobody knew what it was going to be, or even what it needed to be. The only thing the team was sure of was that it would be developed for “Project Dolphin”—what we today refer to as the Gamecube. Naturally, the public was unaware of this. So, when Nintendo officially announced the Gamecube at Spaceworld 2000 and presented a tech demo featuring a realistically-proportioned Link and Ganon duelling, everyone assumed that was what the next Zelda would look like. In truth, Nintendo were still in the process of experimenting with different visual styles and the Spaceworld tech demo was created more to convey the technical capabilities of the Gamecube hardware. In fact, internally the team wasn’t even sure that a game featuring “realistic” visuals like those in the tech demo were the best route. Design Manager Satoru Takizawa agrees. In the same interview, he states: “Everyone on the core staff making the game at that time had a sense that proceeding in that direction didn’t feel quite right. Then one day, out of the blue, [Yoshiki] Haruhana-san hit us with that new Link." Satoru Takizawa adds another point of view to the equation: that a more stylized look helped animate and convey objects in the game more easily. Having been spurred on by the new art style, the team began development. It was during this early stage that they had decided to set the game among the seas. They liked the idea of being able to use the open sea in designing the game world’s mechanics, and also felt it was a good fit for the art style. Tech demo of this new concept in hand, Nintendo arrived at E3 2002 to show it off to the public. The general reaction from the public was overwhelmingly negative. Unfortunately, when it was eventually released The Legend of Zelda: The Wind Waker did not sell to expectations. Development costs for games had increased by then, and The Wind Waker was not performing as well as Nintendo felt it should be, relative to the resources allocated to it. Now, keep in mind that this is a game that ultimately sold 4.4 million units worldwide—but the team developing it was governed by a man that abhorred the AAA game development cycle, and had stated just a few years prior that he felt million-seller games should ideally be developed in under six months. Plus, there was the fact that the original Legend of Zelda, A Link to the Past, and Ocarina of Time had all outsold it. But here’s where it gets interesting. 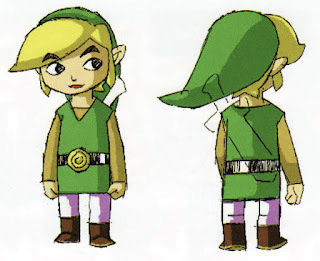 The assumption today is that The Wind Waker didn’t sell to expectations solely because of its art style. This isn’t really the case. 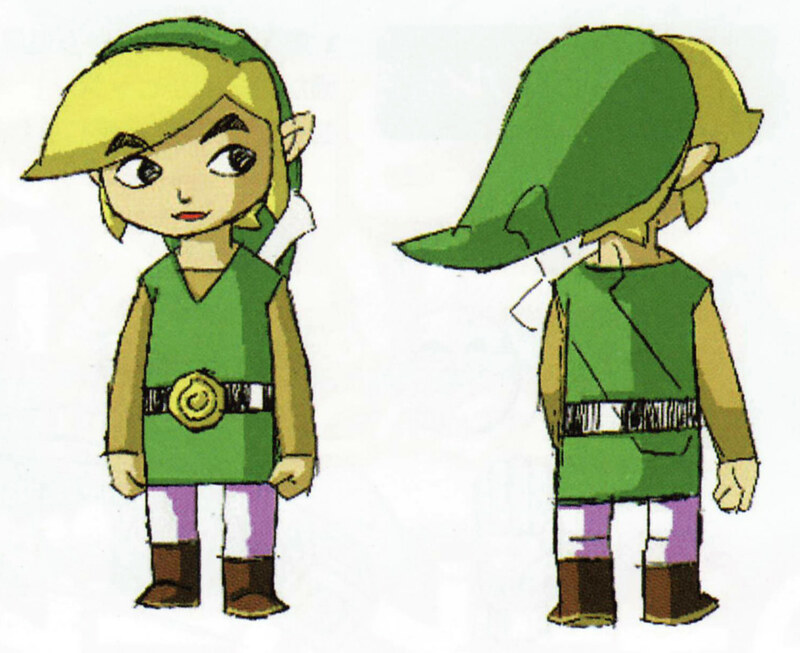 While it is true that Zelda’s North American audience rejected The Wind Waker’s cartoony look, there was another problem that prevented the game from selling—the fact that it didn’t really do anything new. When a product that people love is about to undergo a radical change of any sort, it’s important to weigh the pros and cons of the change in question. Any sort of radical change needs to be weighed against the identity of the product, and what people like about it. If the change alters the identity of the product and makes it feel unfamiliar, it needs to bring something incredibly appealing to the table in order to offset that unfamiliarity, so that people are accepting of the change in question. Therein lies the problem. The art style and eerie feel of Ocarina of Time was something that millions of fans had come to associate with Zelda games, and The Wind Waker’s more cartoony graphics were the polar opposite of what millions of players now considered to be Zelda’s identity. Effectively, The Wind Waker had lost "what was good about the last installment" (as Aonuma calls it) in the eyes of the young-adult audience—which was Zelda's core audience in the West—while not offering enough features that genuinely felt new and exciting to the market at large to help offset this loss. Hyrule Field was now the ocean. The horse was now a boat. Items in the game were entirely familiar. 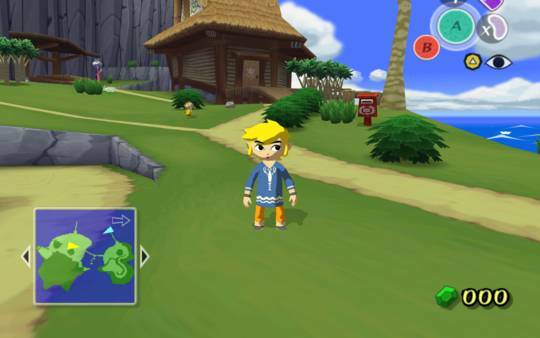 While The Wind Waker was unable to meet expectations in North America for the aforementioned reasons, it was also unable to sell to expectations in its domestic market of Japan. Fewer and fewer people in Japan were playing videogames, and The Wind Waker hadn’t been able to overcome this trend. This was termed “gamer drift,” and for Nintendo, meant that it was time to try something new. 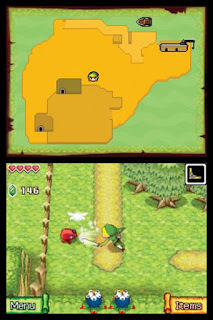 The title in question is, of course, Four Swords Adventures, which did use the connectivity between the Gamecube and Game Boy Advance as its defining feature at Miyamoto’s insistence. Unfortunately, this approach yielded no results whatsoever, as Aonuma reveals in the same keynote. The year is 2003. The Legend of Zelda: The Wind Waker has failed to meet its sales forecast. Four Swords Adventures has done nothing for the franchise. Meanwhile, the Nintendo’s Gamecube platform has lost the market to Sony’s PlayStation 2, and the company is almost entirely reliant on the Game Boy Advance to continue making money. Nintendo and Zelda have seen better days, with the latter under threat of being put on ice due to declining sales and a constant pressure to make better use of company resources. To make matters worse, Eiji Aonuma had burned out from the stress of constantly moving from one Zelda project to the next, always under the watchful eye of Shigeru Miyamoto, who felt he knew what was best for the brand. By the time The Wind Waker had wrapped development, Aonuma wanted out. 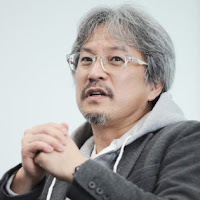 “Actually, I told Mr. Shigeru Miyamoto that I didn’t want to be the director anymore,” Aonuma would reveal years later in a developer roundtable discussion published on Denfaminicogamer. “Even Mr. Miyamoto is inconsistent with his answers; In one interview he answered, ‘Zelda games are unique,’ and then in another he suggested, ‘Zelda games demonstrate growth.’ I’m like, ‘which one is it?’ (laughs) But in an interview, I must give an answer to every question. So I would talk about that ‘Zelda-ness’ just as Mr. Miyamoto would describe, only to be interrupted by Mr. Miyamoto himself disagreeing with me saying, ‘No, that’s different,’ in front of all the reporters!" Aonuma’s a good sport when he recalls these events years later, but there is obviously a bit of truth to the fact that, back in those days, it always felt as though Zelda was whatever Shigeru Miyamoto wanted it to be—regardless of whether or not he had the right idea. This would slowly change over time. 1. The development team had been unable to come up with any new gameplay ideas that had really captured the imagination of the videogame audience. 2. Shigeru Miyamoto had begun to feel that Zelda games were “too complicated” for the audience to grasp, and wasn’t fond of the idea of making the games even more complex, preferring instead to experiment with ideas such as connectivity and multiplayer. 3. The Wind Waker had effectively alienated Zelda’s North American audience, and there was a fear at Nintendo that this could very realistically mean the end of the franchise, should the next game not be the humongous hit it needed to be. While it was Shigeru Miyamoto that had created Zelda, it was Eiji Aonuma that instinctively understood what needed to be done, in order to turn things around and prevent the end of the franchise. The first step was to cancel development of The Wind Waker 2 and change gears. “As some of you know, at E3 2004 we unveiled the game that would become Zelda: Twilight Princess—the realistic Zelda game. We announced that it was being developed by the team that had been developing Wind Waker 2. Actually, there’s a reason that decision was made at the time that it was. At one point, I had heard that even Wind Waker, which had reached the million mark in sales, was quickly losing steam, and that things were sluggish even in North America, where the market was much healthier than in Japan. I asked [Nintendo of America] why this was. 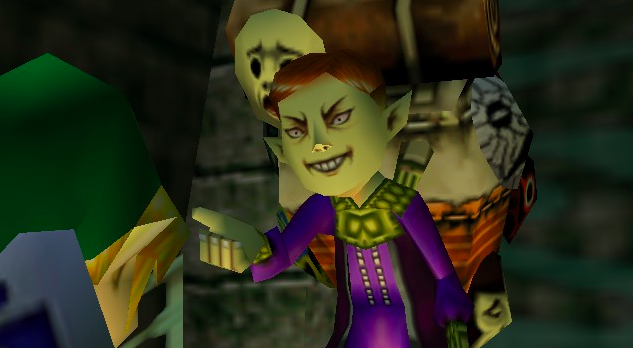 What I was told was that the toon-shading technique was in fact giving the impression that this Zelda was for a younger audience, and that for this reason, it alienated the upper-teen audience that had represented the typical Zelda player. When Aonuma shared these thoughts with Miyamoto, the latter was rightfully skeptical, concerned that Aonuma was so focused on what the game would look like, rather than how it would play. However, the vision that existed in Aonuma’s head wasn’t just of a graphical style, but of an ideal for the development team to strive toward—namely, a game that could serve as a true successor to the beloved Ocarina of Time. As Aonuma states in his GDC speech, it was of paramount importance that Nintendo do something to win the trust of its largest market back, and this was the way to do it. In his mind, the next Zelda would make or break the franchise. 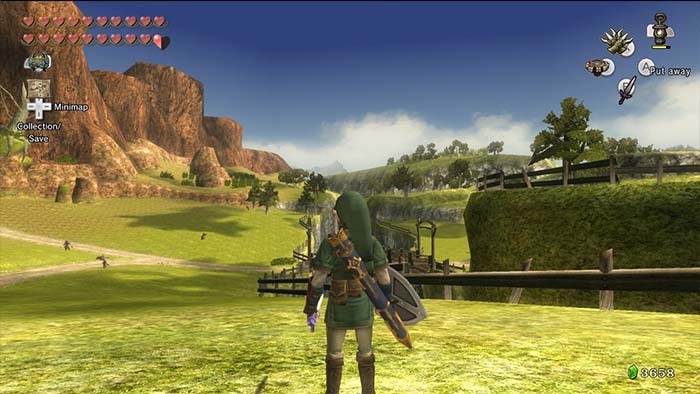 And so, the prototyping of a new Zelda game began at the end of 2003, focused on the idea of a game world that was not just more realistically proportioned, but also gave the player a sense of adventure through its scale and the ability to explore on horseback. As it would turn out, Aonuma had the right idea. Four months later, the team had a working prototype where Link could swing his sword and battle enemies on horseback in a realistic looking world. This prototype was used as the basis for the debut trailer of Twilight Princess, the next Zelda game—and what a trailer it was. Practically every Zelda fan knows of the E3 2004 presentation where Nintendo revealed Twilight Princess to thunderous applause and literal tears of joy. Aonuma was smart, though. 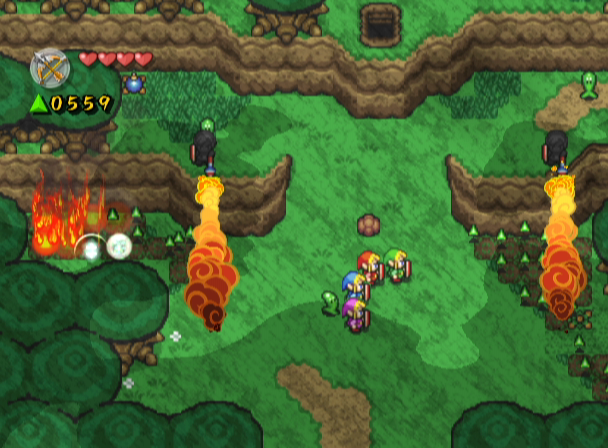 Even in 2003, he understood that different Zelda games appealed to different audiences. What worked in North America may not work in Japan, and vice-versa. And so, when he returned from E3 that year he instructed a smaller group of developers to begin experimenting with a new control scheme for Zelda games on Nintendo’s new portable platform, the Nintendo DS. In Japan specifically, there was some truth to the matter that Zelda’s complex control scheme was preventing the series from finding new players, and Aonuma felt the DS may allow them to solve this problem with the help of its relatively simple touch interface. “Upon returning from E3, I heard from my staff that the DS hardware was capable of of supporting Toon Shading. I immediately asked my staff to start implementing cel-shading on the DS because I was disappointed the cel-shaded Zelda had not been received as well as I had hoped,” Aonuma recalls. Three years and a challenging but development cycle later, Nintendo would release The Legend of Zelda: Twilight Princess on the Wii and Gamecube. 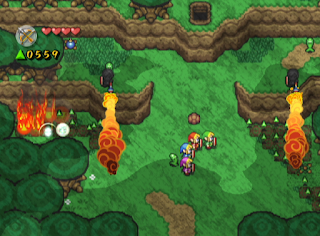 The game would go on to define what Zelda was to a both old and new players, and eventually become the highest-selling Zelda game of all time. It played a crucial role in giving Zelda the second wind it so desperately needed at the time, by being exactly the kind of game the series’ largest market wanted it to be. To date, it has sold 8.85 million units. Meanwhile, The Legend of Zelda: Phantom Hourglass played a similar role in reviving interest in Zelda in the Japanese market. The game’s intuitive touch controls made it accessible to an entirely new audience of Nintendo DS owners, and other touch features such as being able to tap the kanji characters to reveal their readings meant that young children could partake in the fun as well. Within just a few years of its release, Phantom Hourglass would go on to sell 900,000 units in Japan alone, making it the highest-selling Zelda game in the region since Ocarina of Time. Globally, the game has sold 4.76 million units, beating both Majora's Mask and The Wind Waker. In what was undoubtedly a very proud two years for Eiji Aonuma, both Twilight Princess and Phantom Hourglass would succeed in their goals, and Aonuma in saving Zelda—at least for the time being. Unfortunately, he would find himself in the unfortunate position of having to save Zelda again just a few years later. That, however, is a story for another time. Developer images courtesy Glitterberri and Denfaminicogamer.